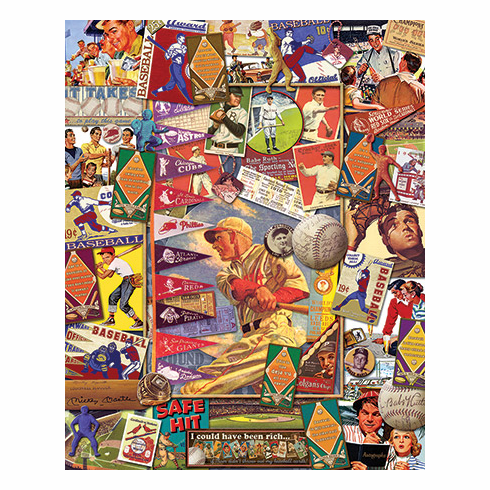 This fantastic jigsaw puzzle features a brand new baseball design filled with colorful banners, bats, balls, buttons and old programs. A perfect gift for the baseball fanatic in your family. 1000 pieces, finished size 24" x 30".